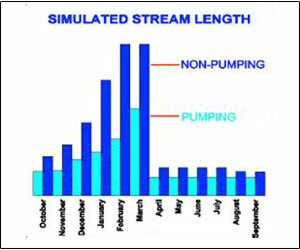 The purpose of this investigation was to improve understanding of hydrologic interactions between the San Pedro River, associated riparian vegetation, and groundwater in an area with both perennial and intermittent stream flow through the use of regional-scale and floodplain-scale modeling. 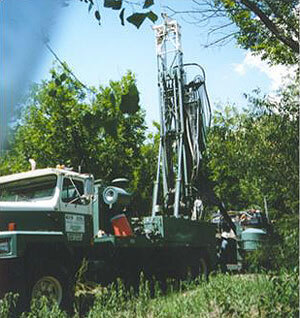 GSA designed and installed a comprehensive groundwater monitoring network of 31 wells, conducted two aquifer tests using existing irrigation wells, determined seasonal groundwater elevation fluctuations and groundwater depths, and developed a groundwater flow model using MODFLOW to evaluate the effect of irrigation pumping on groundwater elevation and river base-flows. 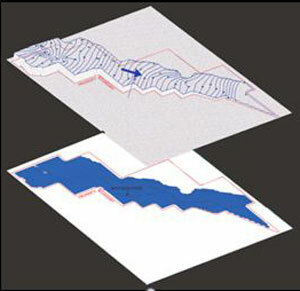 Groundwater elevation data and MODFLOW simulations were used to predict streamflow under various management alternatives and to support the development of a habitat restoration plan for the preserve.